We help you live comfortably today and protect your legacy for the future. Cathleen Petersen, E.A. advises premiere Silicon Valley clients in matters of personal investment and wealth planning, tax preparation, and financial planning. CPEA has served San Francisco Bay Area and International clients since 1983. Cathleen is a Registered Principal of Securities America, Inc. and a Registered Broker-Dealer. Securities America Advisors, Inc is the Registered Investment Advisor. We use special knowledge and skills to help high-net-worth clients pursue goals and objectives related to the accumulation, protection and distribution of wealth. We will also help with personalized portfolio management advice, tailored to your needs, backed by a range of carefully selected, high-quality products. We help you optimize your tax exposure through expert tax planning and up-to-date awareness of the latest tax laws. We offer tax return preparation for individuals, corporations, partnerships, estates and trusts. We help you find the answers with caring, customized, fee-only financial advice that puts you in control and enables you to live the life you want to live. Securities offered through Securities America, Inc. Member FINRA/SIPC. 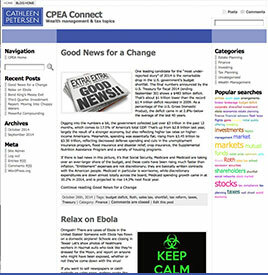 Advisory services through Securities America Advisors, Inc. Cathleen Petersen E.A. and the Securities America companies are separate entities. This site is published for residents of the United States and is for informational purposes only and does not constitute an offer to sell or a solicitation of an offer to buy any security or product that may be referenced herein. Persons mentioned on this website may only offer services and transact business and/or respond to inquiries in states or jurisdictions in which they have been properly registered or are exempt from registration. Not all products and services referenced on this site are available in every state, jurisdiction or from every person listed. CA Department of Insurance License: 0597692. Cathleen Petersen is a Registered Principal of Securities America, Inc., member FINRA/SIPC, a Registered Broker-Dealer and Investment Advisor. 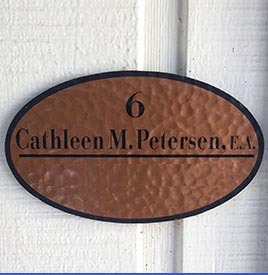 Tax Services provided by Cathleen Petersen, E.A. Cathleen Petersen is enrolled to practice before the Internal Revenue Service. 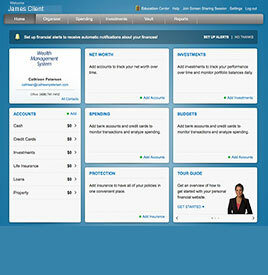 Check the background of this firm on FINRA's BrokerCheck.